If you are interested in learning how to adjust Look ski bindings, it's important to realize that most ski bindings are adjusted in the same manner. First, you will need to find your appropriate DIN setting. Unlike Markers, Look bindings do not have any history of pre-release problems. In fact some recreational racers believe that they need a lower DIN setting for Look bindings than they do for Marker or Salomon bindings. Look bindings have four points of contact on your ski boots, thus providing maximum power transmission. They have a considerable amount of lateral and vertical flexibility, which helps prevent inadvertent pre-release. Their special heel piece provides added shock absorption. The unique geometry of the lateral arms of the bindings serves to maximize the transmission of energy generated by a skier during turn initiation. This results in a stronger rebound upon turn completion. In general, racing bindings are adjusted to a higher DIN setting. As such, the Look PX Racing series has bindings with DIN ranges of 3.5 to 12, 5 to 14, 8 to 15 and 10 to 18. Keep in mind that PX Racing bindings are specific to racing, and should not be used for recreational skiing. They have a metal band that connects the toe and heel piece. When the ski counter flexes, the metal band keeps the distance between the toe and heel piece the same, thereby eliminating any chance of pre-release. Before you embark on a do-it-yourself project, you should read the warranty information on the Dynastar website which implies that your warranty will not be honored unless your bindings are mounted by a Dynastar/Look technician at your local ski shop. Even if you are just attempting to make a simple binding adjustment, if you make a mistake and end up damaging the skis or the bindings, the warranty will be void. However, if you still wish to proceed on your own, this is how to adjust Look ski bindings. Align the center mark of your ski boot with the center mark on your ski. 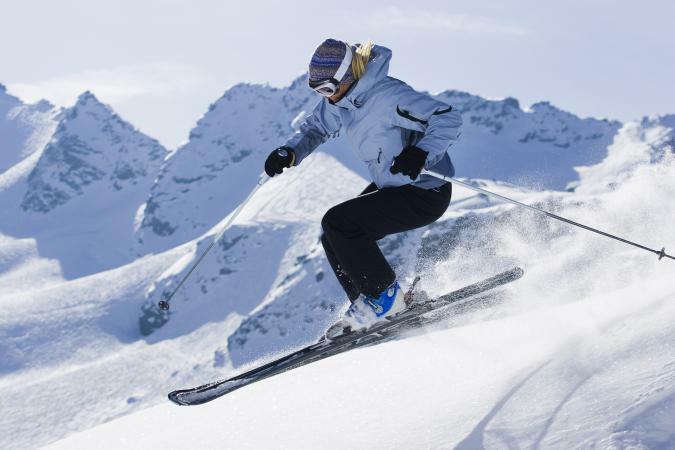 Most skis have a dash which indicates its center. If your ski does not have this dash, you will need to measure the ski to find its center point. Next, you will need to adjust your ski bindings to be the correct length. This will require a screwdriver. Put on your ski boots and step into your skis. Now, slide your rear binding until it creates a tight fit with your ski boot. This is an important step, because you do not want your feet to slip out of your skis when you are on the slopes. To assure a proper fit, you will also need to check the forward pressure indicator to make sure that the binding is appropriately sized for your boot. Then, adjust the DIN to its proper setting. After you have finished, be sure to check your work. Rotate your feet to the left and to the right, as if you were performing typical ski movements. If the bindings are adjusted correctly, the front of the bindings should open.